It is the KyBele Virgin Hair Online Store goal to provide the finest quality hair extensions and human hair weave products. We aim to offer the best information available to help women nurture healthy hair. 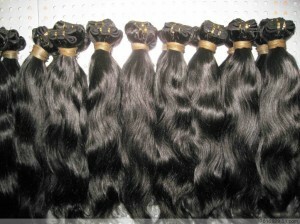 We provide quality 100% virgin human hair that will last long periods of time without tangling or shedding. We are devoted to high standards of customer service and will exceed your expectations of quality hair at great prices. At, KyBele Virgin Hair, we provide an array of virgin hair products and effective hair care tips. Our mission is helping you feel beautiful and confident. The Kybele Virgin Hair Online Store carries Indian hair extensions, Peruvian hair extensions, Brazilian hair extensions and Malaysian hair extensions. We offer the finest weave closures, including 3-way-part lace closures and silk base closures to give your weave that all natural look. You’ll also find our world-famous Fray Check, the best product around to seal your wefts, as well as signature jewelry and women’s apparel all at affordable prices. Are you tired of wasting your money on human hair extensions that tangle and break? Do you want your hair weave to look healthy, shiny and natural? Are you looking for beautiful virgin hair extensions that last longer? Want to bring out The Inner Goddess in you with every single virgin extensions hairstyle? At KyBele Virgin Hair, we are pleased to announce our range of elite virgin hair extensions and exclusive VIP Goddess hair weaves that last longer, look better and feel more natural. Our exclusive line of human hair extensions products are some of the best you’ve ever known! We are an internationally known virgin hair online store. 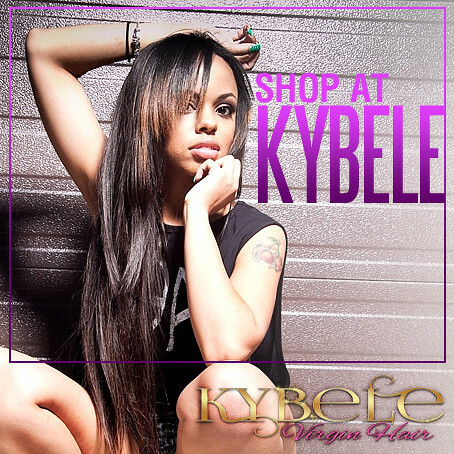 KyBele only sells high-end, virgin hair and quality hair care products. We cater to an elite group of clientele that requires high quality hair that’s free of tangles and splits, lasts longer and looks great even months later. Choosing the right virgin hair extensions can be difficult and frustrating because of the time and expense involved. That’s why we take pride in offering our customers 100% virgin hair that’s completely natural human hair. All of our hair weaves are versatile, and every hair bundle is perfectly aligned so that the cuticles flow in the same direction. Having the cuticles flow in the same direction stops the tangling and ensures that you will be able to get several wears out of our hair. This is also an indication that the hair weave bundle is 100% virgin hair. Our VIP Goddess Collection only consists of hair that has not been chemically treated or processed in any way. KyBele Virgin Hair weaves are 100% natural, which means that the cuticles are completely undamaged. Our VIP Goddess Collection comes in 100% natural black and 100% natural brown tones. However, our virgin hair weaves can be colored with professional permanent, semi-permanent and cellophane coloring products. And, just like with your own natural hair, you can color, wash, straighten and style your virgin human hair extensions as often as you please. Plus, there are several curl patterns and lengths to choose from in the KyBele Virgin Hair Online Store. KyBele Hair is not just high quality virgin hair. It’s human hair fit for a GODDESS!